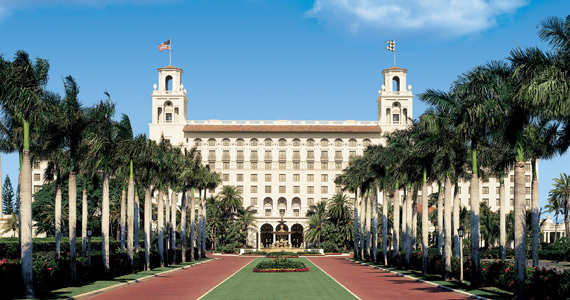 Founded in 1896 and listed on the National Register of Historic Places- The Breakers Palm Beach is one of Americas legendary resort destinations. The non-smoking 540-room- Italian Renaissance-style hotel resides on 140 acres of oceanfront property in the heart of Palm Beach. Since 1990- The Breakers has invested USD225 million in the ongoing revitalization and expansion of the resort its timeless atmosphere renewed in a style of residential elegance and energized with a youthful- family-minded philosophy. With the commitment of its original ownership- capital expenditures averaging USD15 million a year will continue to be reinvested in the property for the long term- to ensure it remains appealing to future generations.The resort features 36 holes of championship golf- including the Ocean Course and The Breakers Rees Jones Course 10 tennis courts- a 20-000 square foot luxury spa- a Mediterranean-style beach club overlooking one-half mile of private beach- an extensive program of family and childrens activities and a variety of water sports. The Breakers is also pleased to offer Beach Bungalows and Grand Cabanas available for daytime rental by hotel guests. The Breakers also features a broad selection of distinctive restaurants- as well as an array of on-site boutiques - all wholly owned and managed by the resort. Well-designed for groups with 20-1-000 attendees- its 45-000 square feet of flexible meeting space- plus several outdoor venues- are highlighted by a beautifully appointed oceanfront conference center and several majestic ballrooms. The Breakers is recognized as a AAA Five Diamond property.